See posts related to Raising World Citizens. Also be sure to visit our ABCS of Raising a World Citizen series and our weekly World Citizen Wednesday feature. A truly wonderful resource is the book Growing Up Global: Raising Children to Be At Home in the World by Homa Sabet Tavangar. The author bases the book on her time working on diversity and cross-cultural issues around the world and her experiences raising three girls. The book (now also a website) is full of practical advice for parents on how to bring the world into their homes through games, activities, toys, websites, and other resources. While many of the activities are for older kids, there are also lots of suggestions for young children as well. One of the main suggestions in this book is to form a group of parents that support each other in their efforts to raise global citizens. Luckily for me, I am already a part of MUMs, a wonderful multicultural moms group! These wonderful ladies hail from all parts of the globe, and most of us are part of cross-cultural marriages. As one of our activities, we recently started a book club dedicated to Growing Up Global. In our first meeting, amid the babble and tumble of our kids, we discussed topics like how to expose even babies to other cultures (through foods, for example) and how to expose your children to other cultures without them losing a sense of their own. Wonderful stuff! The internet also has a number of great resources for raising your child with a global orientation. Don’t miss out on the amazing Multicultural Kid Blogs, a group of bloggers dedicated to raising world citizens through arts, activities, crafts, food, language, and love. You can find them on Facebook, Twitter, and Pinterest. You can also follow their individual Facebook pages through a single customized newsfeed. 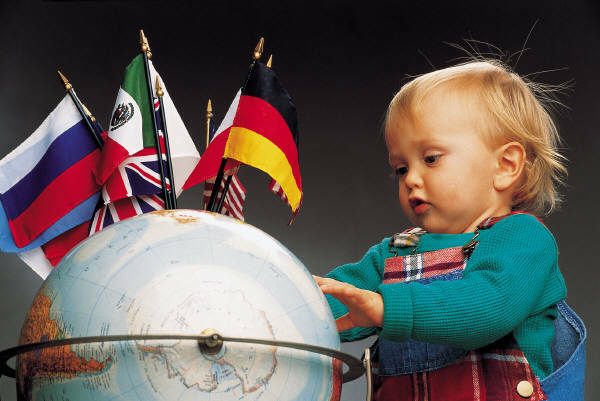 Kidworldcitizen has a constantly growing database of multicultural activities that you can use to introduce your child to the vast, wonderful world we live in, from crafts and recipes to field trips, literature, music, and more! Worldwide Culture Swap is an amazing program that will give your child a tangible, personal connection to other children around the world. Participant families are teamed up with four other families from different countries. Each sends a package to the other families (mainly addressed to the child or children) with items that will give them a feel of what it is like to live in their country – such as inexpensive souvenirs, local crafts, native seeds, and so on. 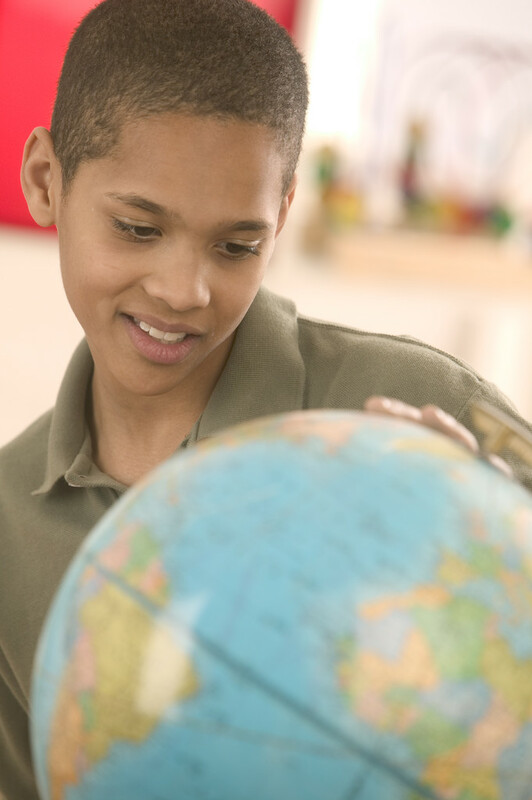 If you’d rather have a longer-term, one-on-one contact for your child, you can also use this website to find an international pen pal. One of my favorite blogs is by Tallulah of Bilingual Babes, who did a guest post for us on how to help kids deal with being “different.” She has done extensive research on multicultural products for kids, which is a wonderful resource for anyone with children in their lives. (You can find a full list of products on the sidebar of her main page). Find more resources on our Raising World Citizens Pinterest board. Thanks for the great reference page! It’s been so wonderful to find your blog, read your stories and benefit from your list of resources. Cheers! Thank you! So glad to have connected with you, and can’t wait to explore your resources as well! These resources are fantastic! I am so glad I discovered this site. I also ran across a place where you can purchase multicultural products for children. Feel free to check out their site http://www.littleproudkid.com I feel it would be a great add to these amazing resources. Thanks, that’s a great site!